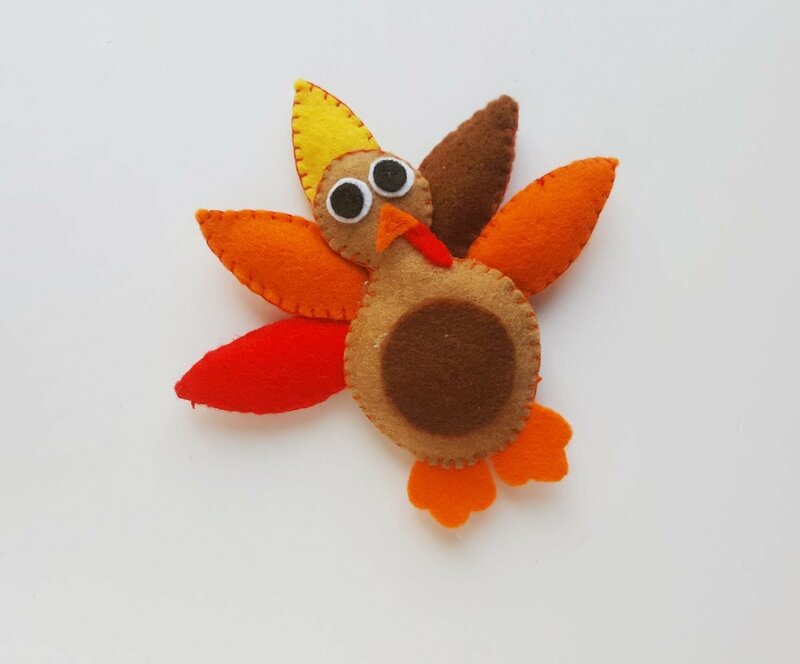 If you are looking for easy Thanksgiving crafts for kids, this felt turkey is sure to be a hit for the whole family! 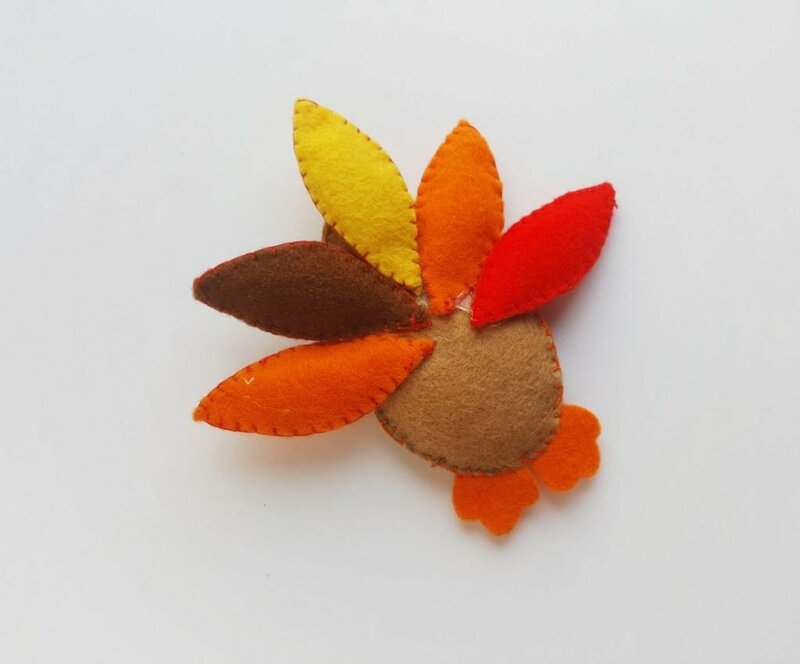 Colored felt fabric – yellow, orange, red, brown, black and white. 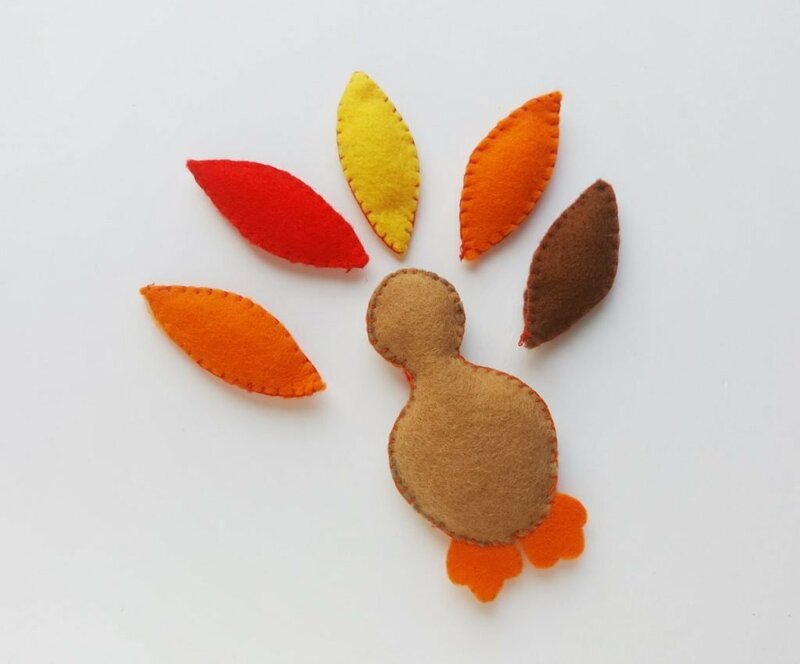 Select the felt fabric colors you’d like to use for your turkey and trace the patterns from the template onto the felts. 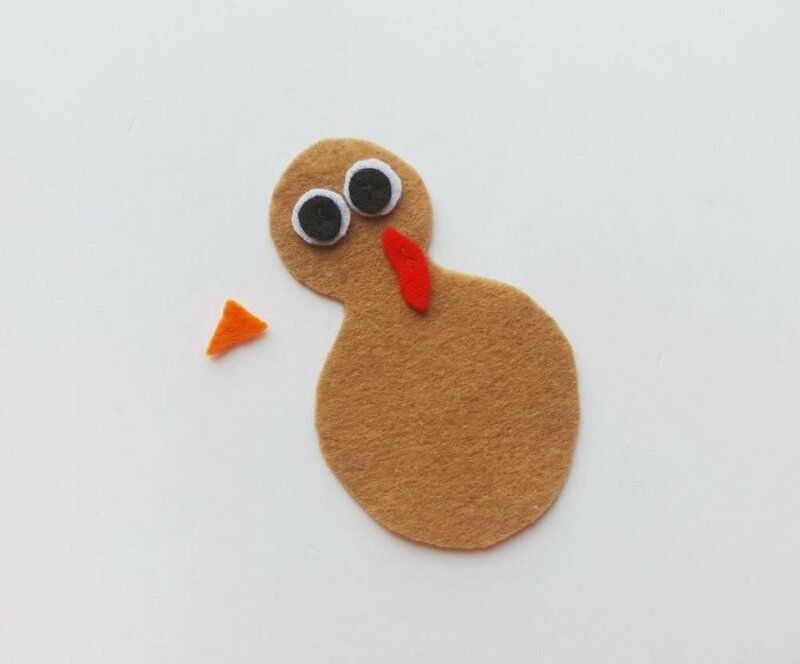 The template includes- 2 parts for the body, 1 beak, 1 wattle, 10 feathers (2 for each feather pattern), 2 parts for the white area and 2 parts for the black area of eyes, 2 legs. 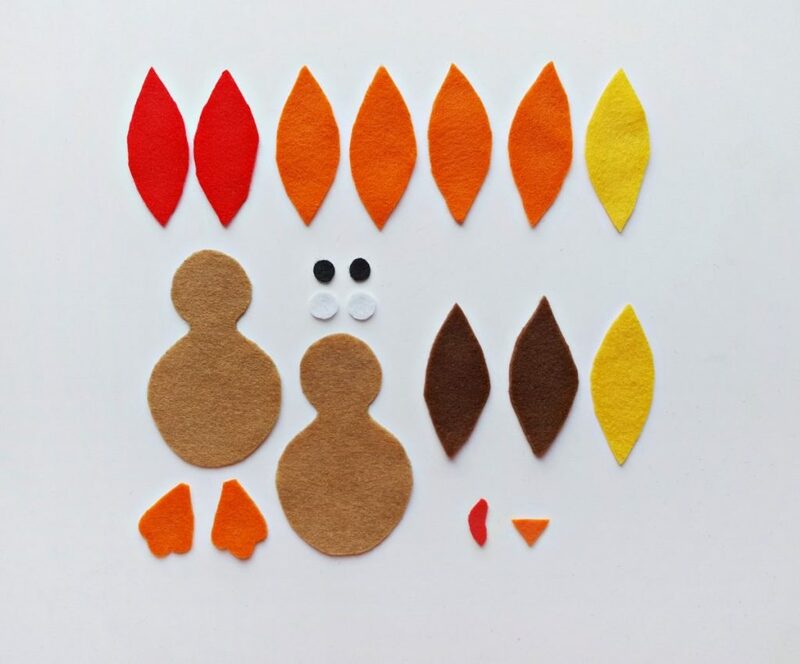 Alternately, you can use your Cricut cutting machine to cut out all the shapes for the turkey. The design is slightly different, but all the steps remain the same. 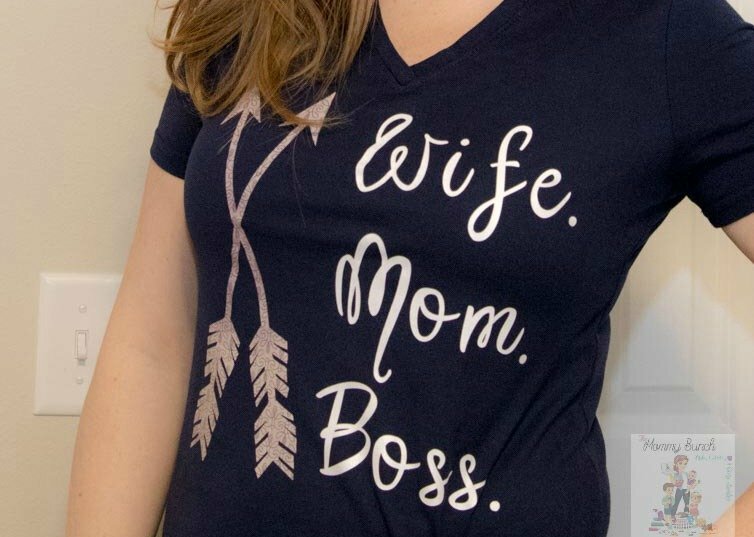 Grab the Cricut Cut File HERE. Take one part of the main body and stitch the eyes, the beak, and the wattle on it. 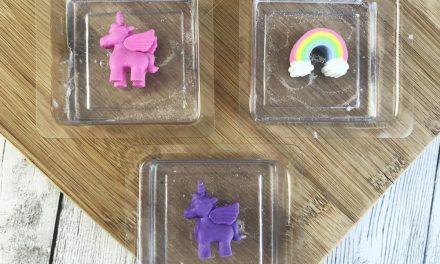 If you’re not good at stitching you can always use fabric glue to attach the items on felt. Take the other (plain) body piece and place it under the detailed one. Match their sides and prepare needle and thread. Stitch around the sides of the two body cutouts, but keep a small opening at the bottom side. Stuff cotton through the opening and then place the two legs between the two body cutouts at the bottom open end. 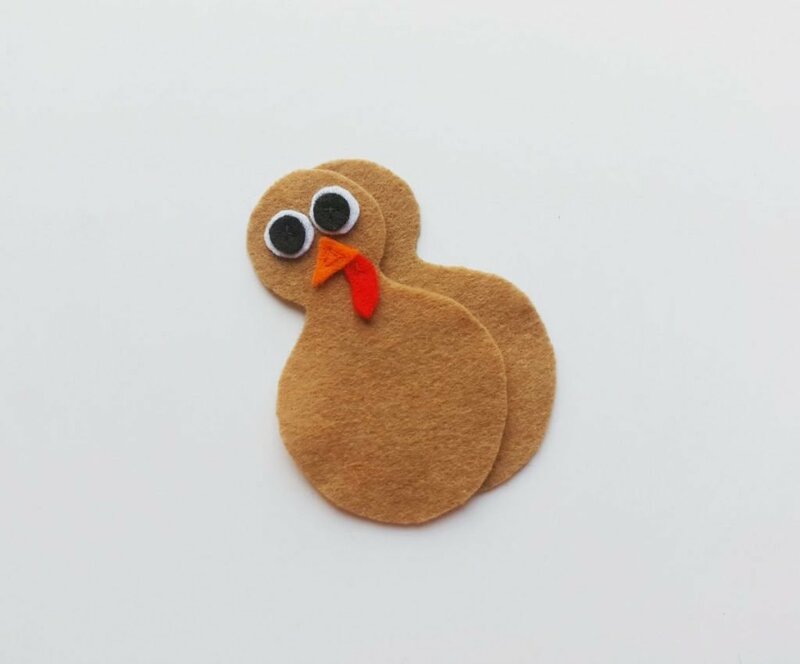 For the Cricut cut file, the legs are attached to the body piece that has the feathers so you will not need to worry about stitching those in this step. Stitch the bottom in order to attach both body cutouts and the two legs. 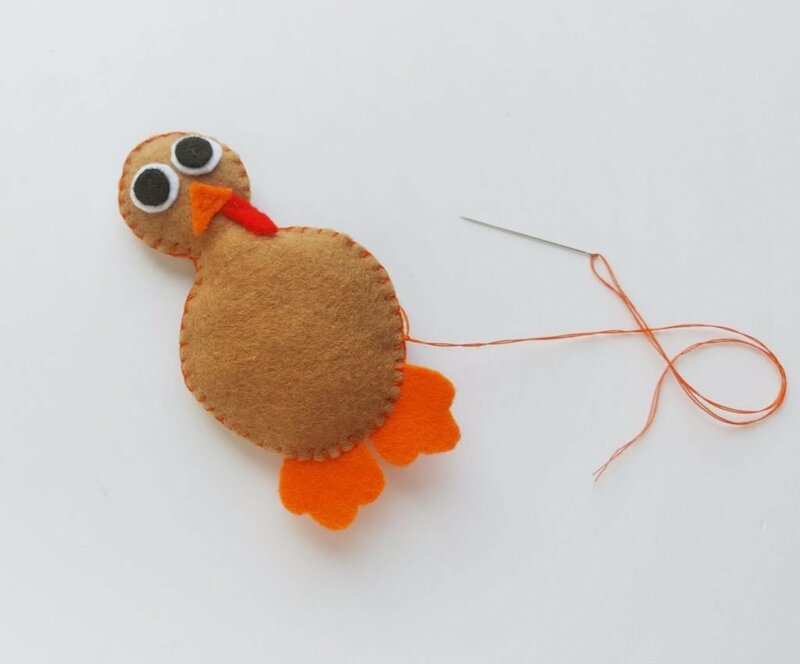 Tie two knots and then draw the needle through the other side (back side) of the turkey. Pull out the remaining thread and then cut off extra. 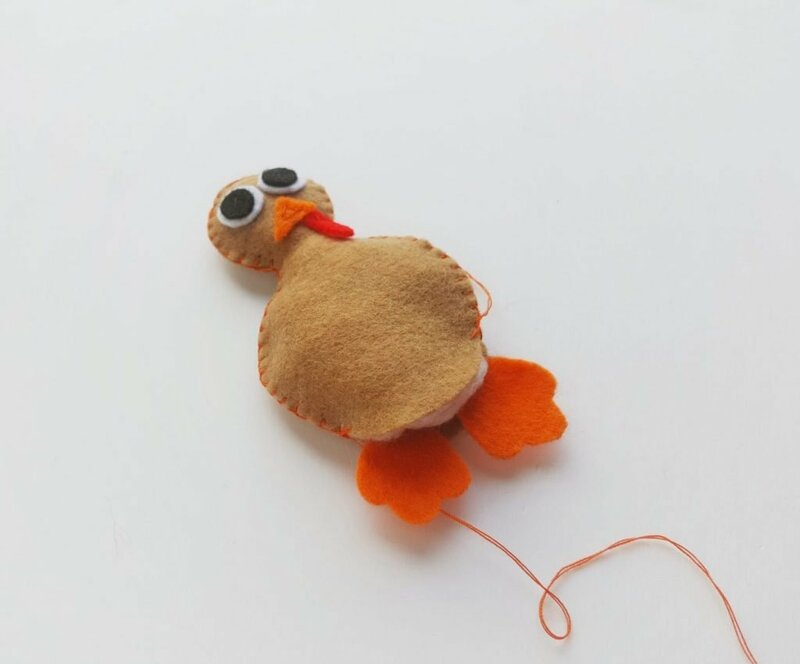 Your Turkey is taking shape! 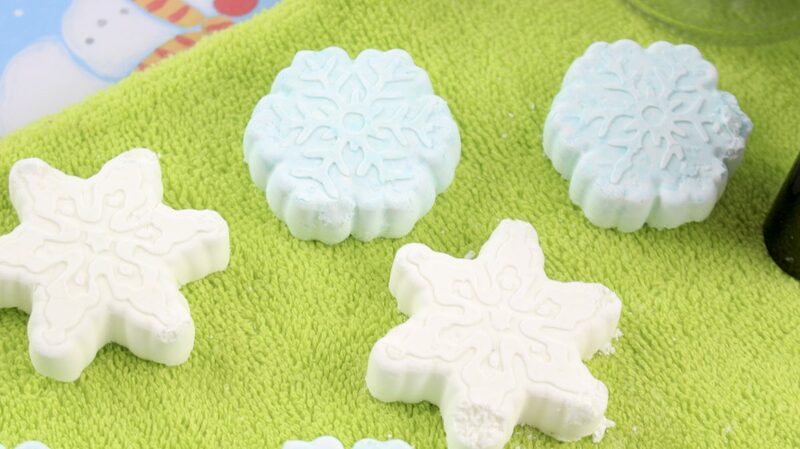 Take any 2 feather patterns (same color) and place them together, making sure that the sides are matched. Stitch around the sides of the feather patterns. Before closing the stitch make sure to stuff a little cotton through the opening. Similarly prepare the rest of the feathers. In the Cricut cut file, the feathers are all one grouping. You can decide to use one color, or you can layer multiple colors depending on your preferences. 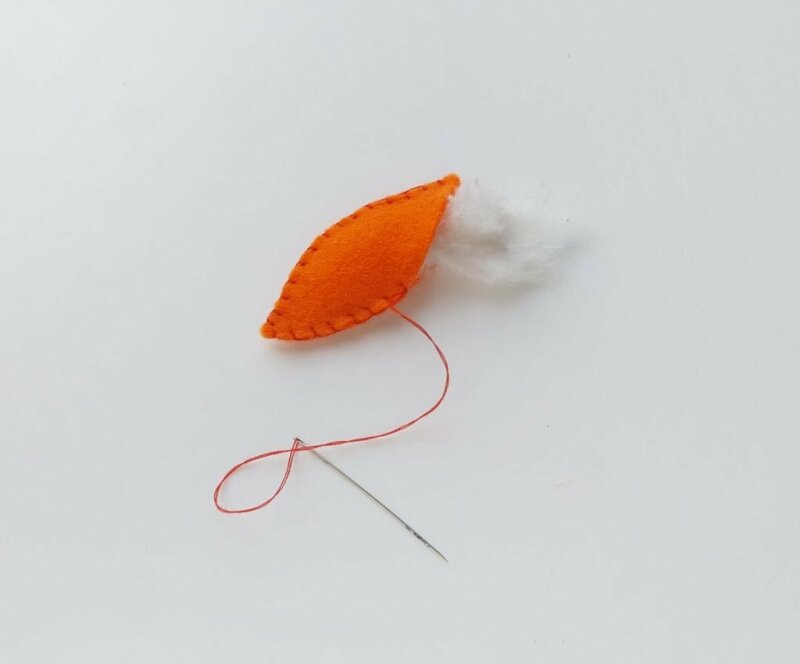 Simple follow the same instructions as above for stitching one feather together, but instead stitch the entire feather grouping together and give it some stuffing. 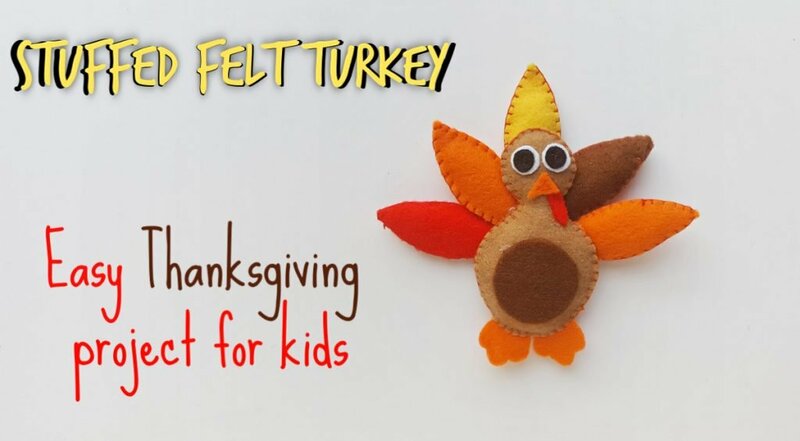 Grab the stuffed turkey body and the stuffed feathers. 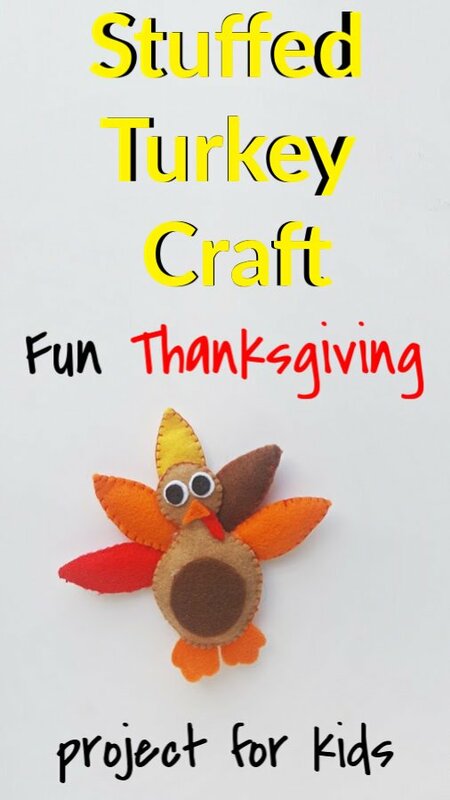 Plan the arrangement of the feathers however you want and prepare a hot glue gun. 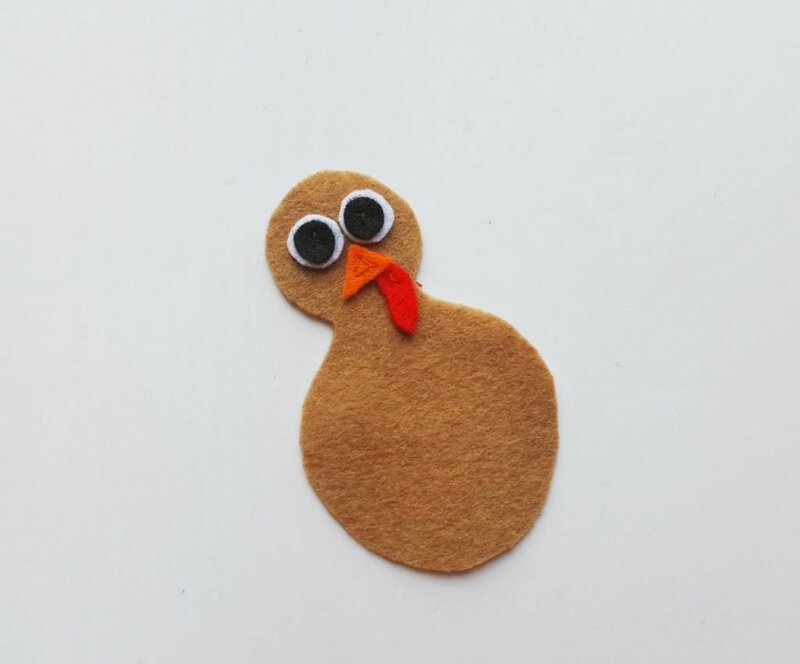 Glue the feathers on the backside of the stuffed turkey body one by one. 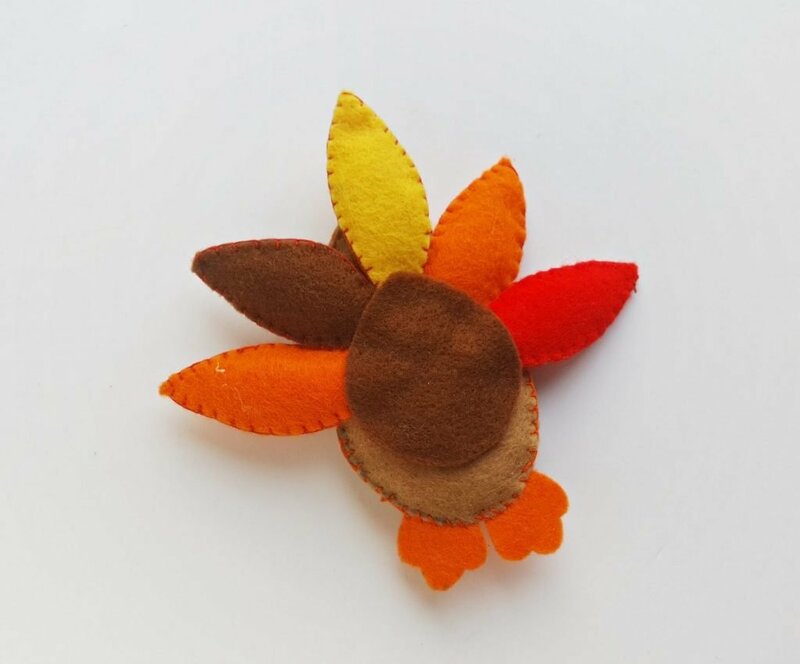 Make sure that the feather patterns are visible from the front side of the turkey. For the Cricut cut file, this is where you will glue your feather/feet piece on to the back side. At this point you can optionally glue a round piece of felt to cover the feather joints at the backside. 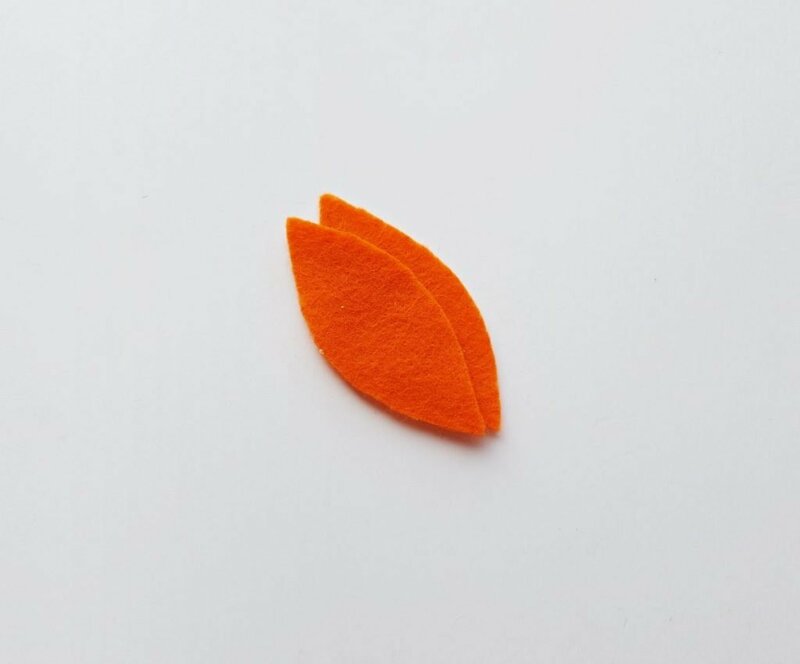 Also attach a small piece of round felt cut out on the front. 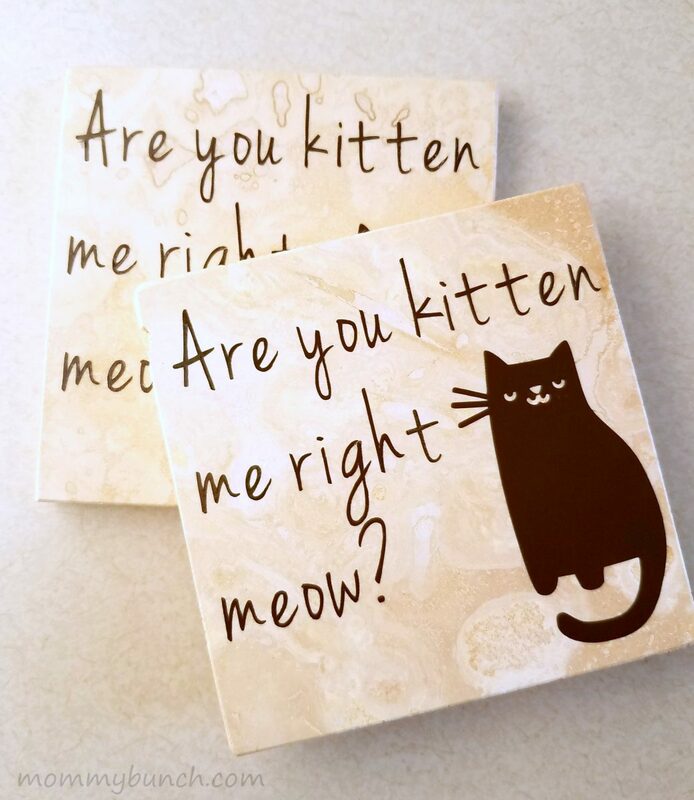 Be sure to share your finished projects in the comments or in our exclusive Facebook group! Subscribe to get our latest projects, tips, tutorials, and more by email. Awesome! Be sure to check your email to confirm your subscription so you don't miss a thing!